Conneaut’s natural lakefront harbor developed into a bustling Great Lakes port by the early 1900s. Tons of coal, iron ore and limestone came through its docks, which were connected by rail to regional steel mills and other manufacturing facilities. 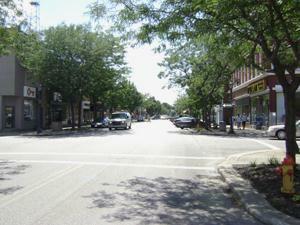 The population grew as well, and Conneaut became a city in 1902. The Port of Conneaut is still active as an international port although the market it serves has decreased significantly. 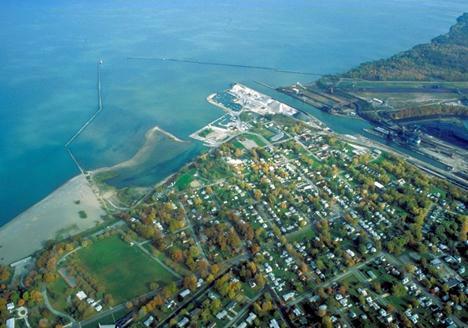 This picturesque Lake Erie coast city of over 12,000 people is growing as a water recreation tourist destination. And starting to grow are the number of new vacation home residents, who are attracted by the amenities of Conneaut’s lakefront and lake view living. Conneaut’s city leaders are building on this trend and believe that once again, the lakefront locale is crucial to a better economic era. A group of dedicated business and community leaders have stepped forward and formed the CARE for Kids¹ committee. Their vision of Conneaut as a historic and vibrant lakefront community is the inspiration for SPARC, a Social Place for Athletics, Recreation and Community. SPARC has already taken hold and is revitalizing Conneaut to its 21st century potential. ¹ CARE stands for Conneaut Area Recreational Endowment which is the name of the growing fund that has been established to support CARE projects, such as SPARC. CARE is an ad hoc committee of the Conneaut Area City Schools, which as an Ohio public school district can receive tax-deductible donations and gifts-in-kind.